Police Scotland will be conducting checks on the A90 and M90 this weekend in a bid to improve road safety, with a particular focus on the stretch of A90 north of Dundee. Officers, along with the Scottish Camera Safety Partnership, will be carrying out high visibility patrols along the M90/A90 between Friday, October 28 and Monday, October 31. Road Policing vehicles will be deployed at various points between Edinburgh and Fraserburgh, Aberdeenshire. 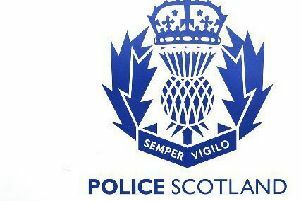 The A90 has a significant collision history and Police Scotland is committed to achieving the Scottish Government’s 2020 casualty reduction targets. It is believed that this activity will ensure compliance with road traffic legislation and deter motorists from committing vehicle related crimes. Superintendent Fraser Candlish of Police Scotland’s Road Policing Unit said: “We recognise that the behaviour of a small number of road users on the M90/A90, particularly north of Dundee, puts other people at risk and we are keen to reassure motorists and reduce collisions along the route. “I would urge any drivers on the M90/A90 this weekend to think about their speed, the upkeep of their vehicle and their general driving behaviour when behind the wheel. “Motorists should also consider their lane discipline, stopping distances and weather conditions whist traveling on the motorway.